Are you one who hates to see winter turn to spring? 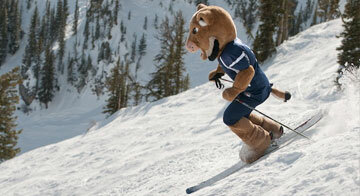 There are a handful of colleges around the United States that are perfect for enjoying winter sports. Some might be closer to home thank you think! From downhill to Nordic, and snowshoeing to snowboarding, the 18 colleges on this list are ideal for the winter sports enthusiast. Some, like the University of Colorado, Boulder are obvious havens for skier-scholars. Others, like Colby College in Maine and Dartmouth College in New Hampshire, are less obvious, but equally appealing to winter fanatics. Some colleges have great skiing and great towns nearby, like Montana State University in Bozeman, University of Vermont in Burlington, and Colorado College in Colorado Springs. Does your school have good winter sport opportunities nearby? We would love to hear about them in the comments below.